I am on Do Not Call Registry. Why do I get Telemarketing Calls?. Latest Educative Article on Telemarketing Call phone call scams. Telemarketing is used as an effective and legitimate marketing tool by well known companies. They operate within the constraints of a Govt. approved framework, without annoying customers who are called. Many of us would not have had problems with legitimate telemarketing. However, consumers as a community need to be blamed for encouraging scam telemarketers, by giving them business, though most are unscrupulous and calls without respecting Do Not Call List. Do we really have to engage with people / companies that we have no prior knowledge of? Is it not stupid to enter into commercial transaction with unknown people? Lets for our own sake, stop scam telemarketers from defrauding us! 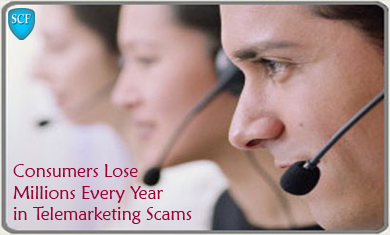 Every year, consumers report loss of millions of dollars in telemarketing scams. Scammers pretend to be reputed companies or states they are associated with such companies. Hence we have Microsoft Tech Support Team, Citi Bank Card Services, Walmart Gift Card offers, Royal Caribbean Cruise Offers etc hounding us. The scammers procure consumer data illegally and may set up automated dialers looking for active phones. The automated message gives an enticing offer to the potential victim and asks to press a digit to talk to a rep. Most of the scam telemarketers engage cheap call centers abroad, to carry out fraud. This is the reason for users reporting queer or heavy accent & background noise. It has been made mandatory in several countries for telemarketers to exclude phone numbers in the National Do Not Call Registry. A telemarketer has to register with the DNC and whenever a call is attempted from its system, the number is first filtered through DNC and if its not in blocked list, call gets through. Illegal / unregistered telemarketers and call centers abroad, do not have to filter numbers through DNC. They use stolen database and sets up autodialers to make robocalls. The autodialer calls all numbers in the database sequentially. Illegal telemarketers use VOIP (to save call costs) and the phone numbers are software generated (not real). Often they use spoofing to make the number look like that of a respected company. For example, you may get a call from a Bank Of America phone number, asking you to verify account and you may divulge info while the call is actually made by a scammer, who has spoofed Bank Am phone number to call. If you are registered with DNC and still get telemarketing calls, you can take it for granted the caller is operating illegally and hence you should not engage with the caller. Report scam calls to agencies tasked with controlling illegal telemarketing. We should however note that these agencies do not have the power or wherewithal to crackdown on foreign call centers which conduct fraud by calling. Your experience with scam Telemarketers may be shared in the "COMMENTS" section below for the benefit of other consumers.